Moving right along with another finished project. My Colorado Avalanche Shawl is finished and blocked and I'm pleased with the results. 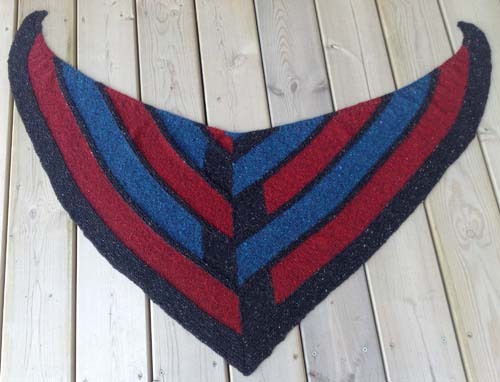 I love the deep richness of the colors of the yarn and the tweed flecks add some extra interest. Now, on to block the Kusha, Kuhsa scarf. Ravelry: Click here for my project page. Notes: The Colorado Avalanche schedule for 2013-2014 can be found here.